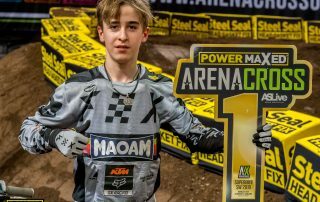 AXUK Final London, England – Great victory in London; FOX-youngster CARL OSTERMANN is the new Arenacross Champion 2018! In the end everything worked out well, strong performance and two clear race wins at the big final in the sold out Wembley Arena on Saturday and 240 points in the overall placings were enough. 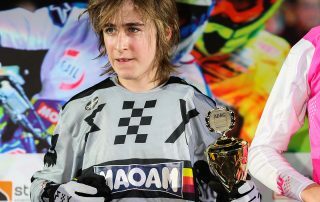 AXUK Round 06 Sheffield, England Carl Ostermann can also in Sheffield not be stopped! FOX-youngster Carl Ostermann just gets stronger and stronger. 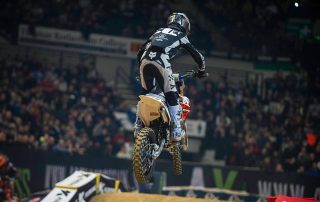 The demanding SX track in the FLY DSA Arena in Sheffield saw the 13-year old from Bonn leave his competitors far behind. AXUK Round 04 & 05 Belfast, Northern Ireland Conclusive Performance in Belfast; Carl Osterman takes home victory both days! 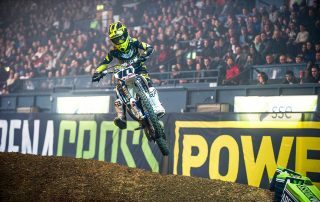 100% result again – Carl Ostermann wins Arenacross in Birmingham! Int. 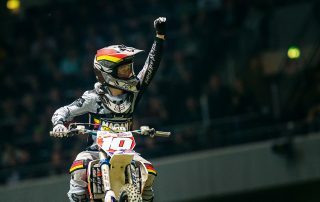 ADAC SX Cup Dortmund, Germany Carl Osterman wins the ADAC SX CUP 2017/2018! 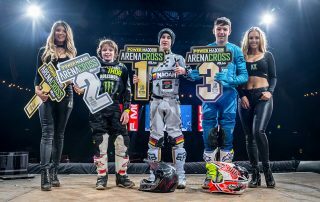 AXUK Round 01 Manchester, England – Carl Ostermann wins the Arenacross opening round in Manchester! 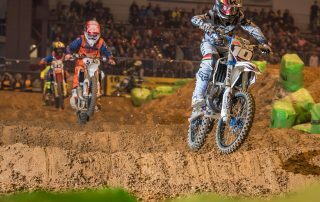 International ADAC SX Masters Chemnitz, Germany – Carl Ostermann – 100% outcome in Chemnitz! The FOX-Youngster Carl Ostermann proved his worth in every possible way, leaving nothing left to win. 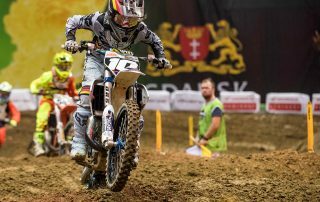 European Supercross Championship, Poland – Carl Ostermann wins both SX 85 finals and becomes EUROPEAN SUPERCROSS CHAMPION 2017! 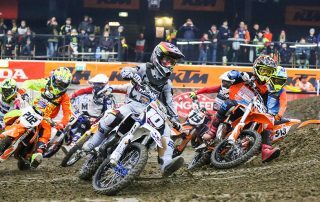 After two very close and spectacular final races, the FOX youngster Carl Ostermann snapped up his first FIM title on Saturday at the European Supercross Championships in Gdansk, Poland. 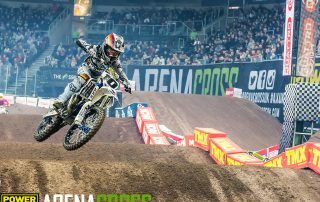 International ADAC SX Masters Stuttgart, Germany – Carl Ostermann makes it to the podium on Saturday, but real joy didn´t want to arise!